about how to get noticed? and Boost your Confidence & Success! ​​"Hi, I'm Tammy Banfield, a seasoned, professional resume writer, cover letter & LinkedIn Profile Specialist. Are you struggling to write a resume that enables you to stand out in a crowded and competitive job market? #1 – You are certainly not alone in your difficulties. Writing about yourself can be hard. It’s hard to decide what to include, it’s hard to decide what to omit and it’s very hard to find the right words – words that will help you stand out without making you sound like you are exaggerating your accomplishments. #2 – You have definitely come to the right place. At Careers By Design, we’ve helped thousands of Canadians, including many in the Vancouver area, achieve career success over the past 14 years. We understand how ultra-competitive the job market is now and how essential having the right resume has become to completing a successful job search and landing your dream job. That’s why we use an accomplishments-based approach that focuses on your best achievements and creates true impact – this is important because the competition for jobs is getting fiercer by the day. We also work with all career stages: whether you are starting out, looking to move up or looking to switch jobs or careers. Through my expert guidance, I personally have helped over 750+ clients advance their careers, revive stalled job searches and secure highly coveted positions. If you're in Vancouver and researching a resume writer to help you, you absolutely need to connect 1-on-1 with the professional you hire. Choose us & we'll meet face-to-face, not like other companies that work over a messaging platform. All our services include a 45min virtual face-to-face session where I will learn about who you are, and ask you specific questions to dig out those crucial accomplishments and how they're relevant to the job posting you're aiming for. Book a no-obligation, free phone chat with us & let's talk. No matter what career stage you're at or industry, I've done it all. Reach out to me and I'll help you get ahead of the competition and poised for career success. Book a free, no-obligation phone chat with us. Fill out the quick form below and hit submit. You will then be taken to ​an online calendar where you can book your free chat. "Tammy was professional, courteous & asked great questions to really understand my situation and what I wanted to achieve with my resume"
The LinkedIn and cover letter recommendations help set my profile apart from others. Tammy helped outline clear objectives and accomplishments, made recommendations on my profile background and head shot along with a well articulated summary. She also helped to tie my resume, LinkedIn profile and cover letter together for a consistent look and feel, and voice for recruiters. Find out more - choose your career stage below. Got questions? We've got answers. Browse commonly asked questions below. I’m not getting any interviews. Will a new resume help? The primary function of a resume is to get you interviews. If you’re not receiving responses or interview requests from your job applications, it’s likely that your resume is not marketing you strongly and clearly. Our resume writing services are designed to connect your experience, skills and strengths with your ideal positions. The goal is to communicate your value to potential employers in a meaningful way. Typically, clients see a dramatic increase in interview requests when they have a professionally developed, targeted resume. 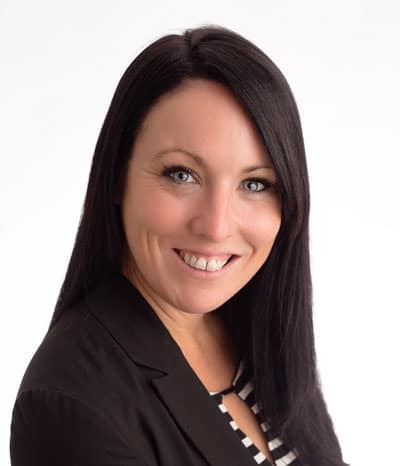 With over 5 years’ experience working with over 1,000 clients, Tammy has assisted clients in all industries (and at various career stages). She’s helped clients revive stalled job searches, re-brand themselves for a career change, and take their careers to the next level – no matter what industry, sector, or field. Will my resume be optimized for ATS (automated tracking systems)? ​​​All Careers By Design resumes are developed with key words and critical job requirements in mind to work with resume scanning/tracking systems. Not only will your resume pass through software programs, but it will provide a compelling story when it arrives in front of recruiters and hiring managers. How many sessions are required to develop a new resume? Unlike career coaching that requires multiple sessions, the resume writing process requires just one 45-minute consultation. During the consultation, you’ll be guided to deep-dive into your career history, education, experience, skills, strengths, accomplishments, and goals. After the consultation, your resume writer does all the work to craft a compelling message for your target audience. Can you write a general/multi-purpose resume? It’s important to us that you achieve your desired results from your new resume and career marketing materials. Unfortunately, without a career target or goal, your resume will simply not deliver optimal results. 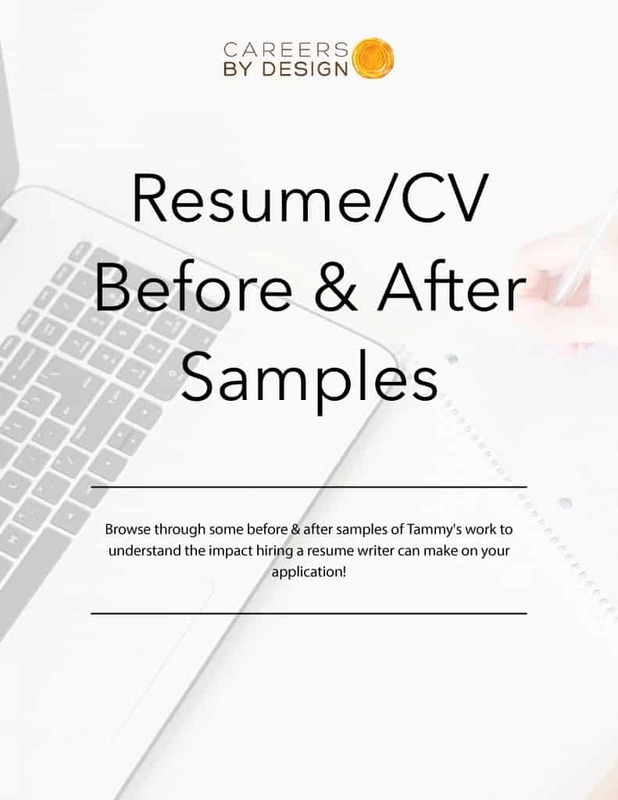 Resumes that are too broad and general tend to fail at demonstrating the value you have to offer, and therefore are unlikely to generate responses and interview requests. We recommend accessing career coaching first if you’re unsure of your next career steps or area of interest. LinkedIn is an incredibly powerful tool for job searchers in numerous industries. Recent research indicates that many recruiters use LinkedIn exclusively for sourcing candidates, while 80%+ of hiring managers review LinkedIn profiles before deciding to call a candidate for an interview. If you don’t have a LinkedIn profile, or if your LinkedIn profile lacks critical content, you could be missing out on potential opportunities. Your resume writer can help you optimize your profile and develop new profile content that will complement your resume and strengthen your personal brand. ​​Turnaround time for all resume packages is 3 business days from the time of consultation. This is quicker than the average turnaround time for the industry. However, if you have a pressing job application deadline, speak with our Resume Writer, Tammy Banfield, about our rush service. What if I require changes or revisions? ​​No one knows your career better than you. The consultation process is quite thorough and exhaustive, but ultimately, resume writing is a collaborative process. Occasionally, minor revisions are required, and these changes are included in all our resume writing packages. We want to be sure that you are completely comfortable and confident with the way your resume markets you. Turn You into the Strongest Candidate for an Open Position! • It has to sell you. • It has to let the employer know that if he hires you, he’ll receive certain benefits. • It has to let the employer know that you have what it takes to succeed in the position. • It also has to be designed in such a way that it “grabs the attention” of the hiring manager. • It has to be written in such a way that it motivates the hiring manager to pick up the phone and invite you to an interview. A big part of what we can do for job seekers is to help them create a brand identity that hiring managers or recruiters will remember. Again, this can be very difficult to do on your own but an expert third party seeing you with a fresh, outside, objective view may be just what is necessary to create that memorable brand that gets you hired. We Also Help You Take Full Advantage of LinkedIn & Resume Cover Letters! If you are having difficulty securing interviews ask yourself this – is your LinkedIn profile attention grabbing or forgettable? The difference between the two can be the deciding factor as to whether you get invited to interview for that dream job or you never hear anything back. The truth is having a terrific LinkedIn profile has surged in importance as LinkedIn has become more and more popular among recruiters and hiring managers. The Savvy Intern reports that 85% of recruiters now go to LinkedIn before looking at any other recruitment tools.Meanwhile, LinkedIn has grown to over 430 million members. In other words, the competition to stand out from the crowd and draw an employer’s attention is fierce. And not only that, a well-written profile will also help you make important connections and join valuable groups that can ultimately lead to your dream job. So how do you feel about your profile?Is it making the right impression? Is it generating interest? Is it portraying you in the right light? If it is NOT, you are putting yourself at a severe disadvantage in today’s job market. That’s why many employment experts now say the number one thing you can do to improve your job search chances and land that new or better job is to have your LinkedIn profile professionally written.Simply put, your LinkedIn profile is too important to trust to anyone other than a professional. Another area where Careers By Design experts can really help job seekers in Vancouver and other areas is with their cover letters. It’s easy to take for granted just how important a well-written cover letter is for your job hiring prospects. About half of all HR reps say they won't even read a resume if the candidate hasn't submitted a cover letter. The bottom line is you need an attention-grabbing, well-worded cover letter to get hiring managers to proceed on and view your resume.We can help you with that. Buy Why Should I Choose Careers by Design? 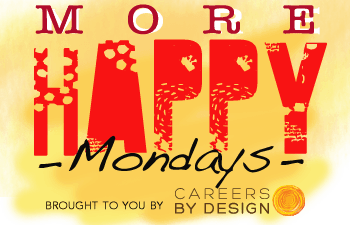 Careers by Design is a national Career Counselling and Life Coaching firm that was founded in 2005 by Shirin Khamisa, a recognized thought leader at the intersection of career development and personal leadership. Shirin’s career advice has been featured in national media outlets including: CTV, CBC, The Globe & Mail, and the Financial Post. So why risk subjecting yourself to a long, drawn out, stressful job search … why risk missing out on your dream job … all because your resume is not the quality it needs to be? Why not save yourself a lot of hard work as well as valuable time and money by getting help from the experts at Careers By Design? If you are looking for exceptional quality, personal service, firm commitment to exceed your expectations, and a great return-on-investment, contact us now – we are here to help! We know what it takes to create carefully planned, employer focused, visually appealing resumes and cover letters that put the spotlight directly on your strengths and accomplishments, show you in the best possible light and ensure the hiring manager knows that you will bring value to the company. We also make sure your resume contains relevant industry keywords and current buzz words that further make it stand out and demonstrate your industry knowledge. With Careers By Design, you are able to immediately tap into the valuable experience we have gained over the past 14 years in which we’ve been helping Canadians in Vancouver and elsewhere achieve job and career success. Remember, we also offer career coaching, interview coaching and job search assistance – everything you need to turn your dream career into reality. Careers By Design’s new office in Vancouver will open soon and serve clients across all areas of British Columbia, including Vancouver, North Vancouver, Burnaby, Victoria and Vancouver Island and mainland BC. Currently, clients in these areas are served by Zoom video.